The obvious point of reference for Adam McDonald’s feature debut is The Edge, except that there’s (more) sexual chemistry between the two leads. (Sorry, Anthony Hopkins and Alec Baldwin.) 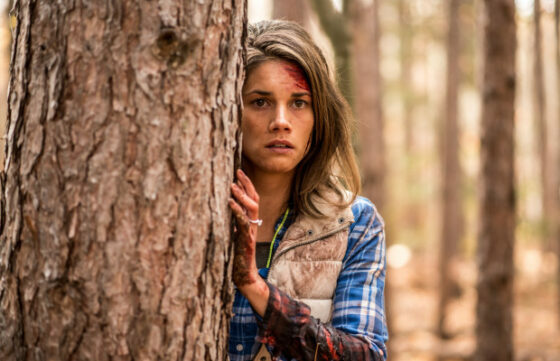 Stubbly Jeff Roop and springy Missy Peregrym star as a city couple who make the (possibly, but no spoilers here) fatal mistake of spending a weekend in the woods, where there is lying, tiredness and bears—oh my. Give McDonald credit for not rushing through what little narrative he has, and for finding inventive but mostly non-gimmicky ways to make the sight of two people shuffling through foliage visually interesting (though I could have done without the Go Pro cameras). He also delivers the tensest INTERIOR: TENT set piece since The Blair Witch Project (1999). One last thing: he’s smart enough to not turn his (“based on a true”) story into any sort of meditation on relationships under pressure. The characters don’t represent anything larger than themselves, and are well-played to boot by two very game leads. A Canadian-made movie about survival can’t help but seem like a cliché, but it’s been a while since there was a decent one. Look no further.